Palm-lined drives and shimmering waters are the hallmarks of Marriott's Sabal Palms, one of lively Orlando's loveliest and most serene vacation ownership resorts. In the heart of the city's favorite attractions, this beautiful resort provides seclusion as well as the perfect setting for outdoor pursuits. Enjoy our spacious two-bedroom, two-bathroom villa rentals, featuring separate living and dining areas, a fully equipped kitchen, large master suite, furnished balcony or patio and more. At the adjacent Orlando World Center Marriott, indulge in spa treatments, golf lessons and fine cuisine, then unwind to cocktail music in the glittering lobby. 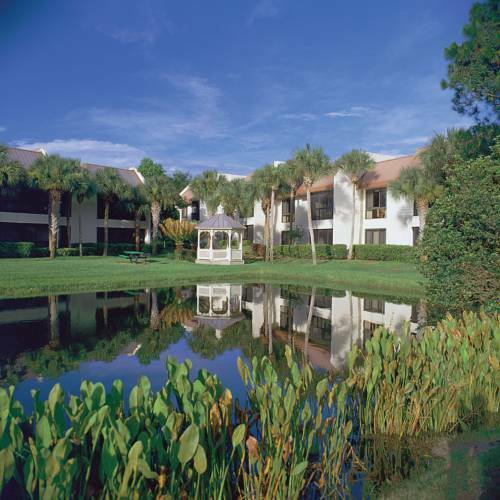 Your Orlando vacation is sure to be special at Marriotts Sabal Palms.